It’s a great time to be in a social media agency. With so many resources to generate content, edit images, schedule posts, design creative content, brainstorm ideas – it’s never been this easy to collaborate with your team. Those of us who worked in agencies before know that you fall in love with almost everything. Everything except for sales or looking for new social media clients. Why? Because it’s usually hard, it doesn’t come with immediate results and most of the time, you don’t know what you’re doing wrong. We applied to pitch at different companies, went to several marketing conferences and events, created beautiful social media campaigns, but it didn’t felt like it was enough. That’s why we started testing our ideas one by one, looking for growth hacks on building our client base from scratch. So we want to share our bulletproof tested ideas from all the past experiences. Where to find social media clients? It’s one of the best platforms for freelancers, designers, virtual assistant, and marketing managers looking for a job or remote position. It helped millions of companies find their perfect agency or freelancer to team up with for the next project. 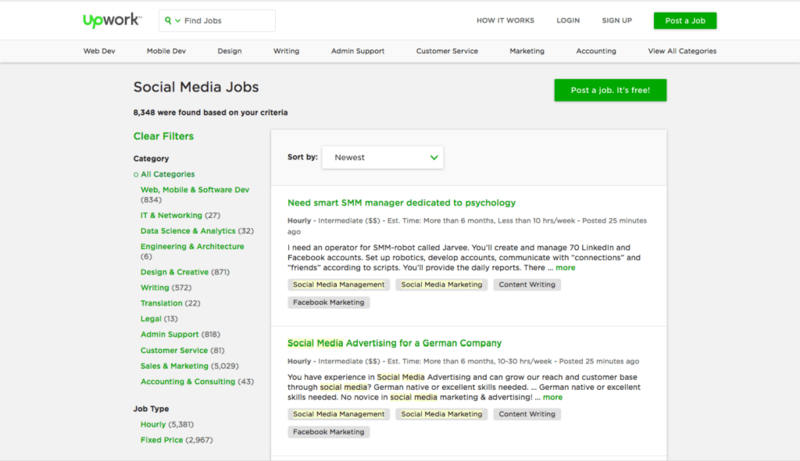 On Upwork, you’ll find a lot of clients for your social media agency. I just searched for jobs in marketing and received 8348 social media jobs at this moment! 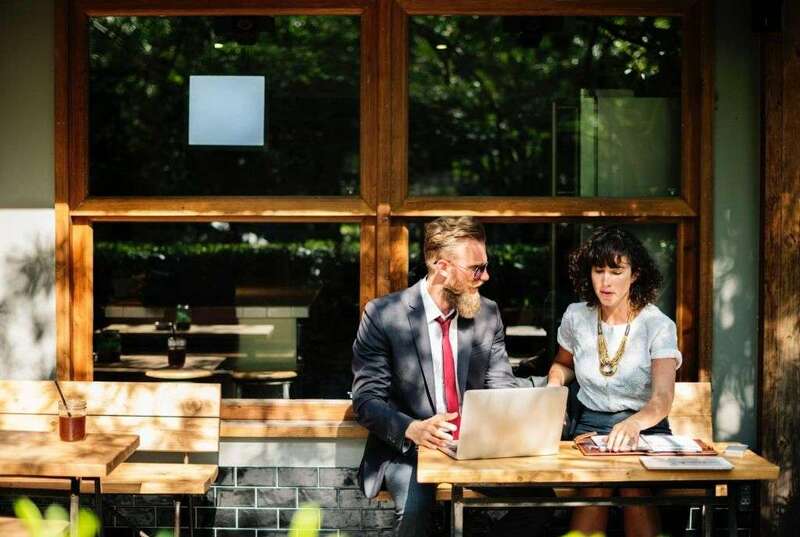 Similar to Upwork are websites such as Hubstaff Talent, Credo, Fiverr, Freelancer and The-Dots, a professional network for people in the creative industry. Be specific & personal. Don’t use the same approach for each potential client. Make sure you’ve done your research on them and mention what you love about their product/ service. State & prove your fit. Show the potential client why you’re the best fit for the job and why you’re qualified for it. Try to show a sample of your way of thinking and planning. Add some ideas of how you would plan their social media calendar. Be persistent. 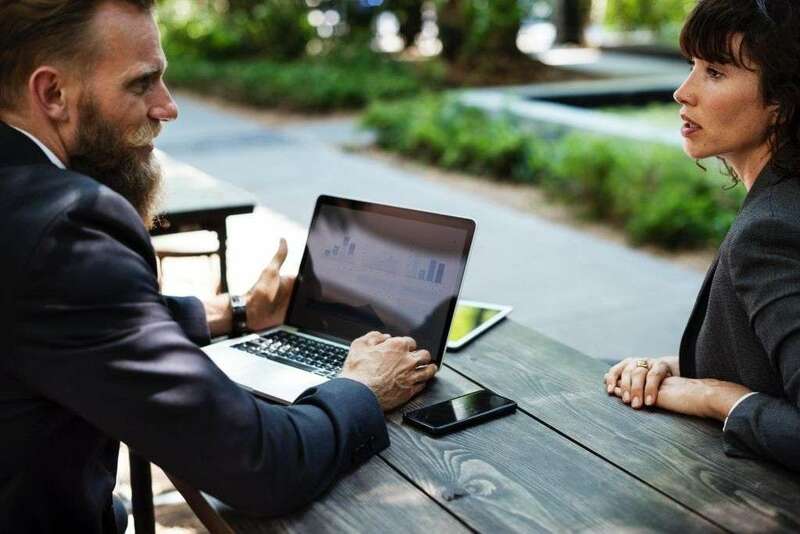 Connect with your potential client on LinkedIn and don’t forget to follow-up. Continuously and persistently (do not become spam – there’s a difference between persistence and pure spam). Ads Manager is a powerful tool to get started with. You can create a post to generate leads on your website. It should show testimonials and services you’re offering. If you’re just starting, mention what industries you’re most comfortable working with, for example, small shops, restaurants, fashion & beauty. You can install Intercom, Drift or any other Free Alternative to easily communicate with the prospects on your landing page and track if it’s a visitor coming specifically from your Facebook Ad. Make sure to A/B test targets by age, city, profession. Look for inspiration right here. Research what others are doing in this space. Investigate competitors on Facebook, see who liked their page, what the reviews are saying, and see how you can improve your own social media agency. You can create a short video with yourself pitching to a specific type of clients in a certain geographic area or industry you want to get. Tell them about yourself, make them stop and want to watch the Ad. Remember that more than 70% of users are watching Facebook videos without the sounds ON. Costs should be low if you target it well enough. You can do the same for Google Display, LinkedIn & Twitter. Just go everywhere they go – like any professional stalker (or salesman) would. A friend of mine recently started his own social media agency and told me about his approach that led him to land 25 clients in 3 months. James used Facebook Pages and Google Maps to find local companies next to him. He then built a list of the owners based on the information he found on the website or LinkedIn. Next, he messaged all of them, mentioning how they can improve their social media strategy and how he can help. Asked for a meeting or quick call and landed the client. We all join and follow several groups on Facebook. But how many of those are actually related to your professional activity? How many connections do you have in the industry? There are a lot of amazing marketing communities on Facebook. Join them and stay active by sharing your social media/ marketing tips. A great example of how you should start with each group – introduce yourself. The personal approach is really important, have a well-staged photo of yourself, wide smile, casual look and obviously, the great engagement that followed. That’s one more way to find a social media client. When it comes to in-person meeting, there is no better opportunity than an event, especially when you’re the organizer. It will drive engagement to your page, social media reach and gather multiple professionals in one place, the place where you are the most important person. Cool, huh? If you haven’t done this before, no worries. You Can Do This! Don’t overcomplicate it. It’s not that hard. If you want to invite people privately or via e-mail, here’s a template you can use. I’m organizing an event next week for awesome digital marketers like you. We’ll talk about the latest social media trends in 2018 and how they can affect or shape your strategy. John Smith, an industry leader and speaker at multiple marketing conferences, will join us as well. He’ll have a presentation about the most engaged campaign they had within the AgencyX last year. What do you think? I’d love to see you there, RSVP here. See what I did there? Add a referral campaign at the end of the message to stimulate people to invite others. Yes, it’s a long shot, complicated, lots of hard work, but this will help you in so many ways. It will expand your network, get new clients and position you as a social media marketing expert. Facebook Groups are extremely popular right now, and that’s because the concept of closed and relevant communities attract engaged, relevant people. But these are just my thoughts. Don’t be afraid to ask what your members are looking for in the group. Engage with them on a daily basis. The community will be small in the beginning, but that’s when you can extract the best insights. If you’ll succeed in providing value for your members, they’ll invite friends, teammates, and other professionals. Don’t over promote your social media agency. Remember to give first, and constantly share new content. There are plenty of ways to keep a group engaged and the conversations flowing. For example, you can host events within the group (like AMAs (Ask-Me-Anything)), webinars or offline events. You can find more marketing communities right here. Welcome, and invite new members and start a conversation. People will start recognizing you if you’ll be everywhere. One more way to find social media clients is by offering a 40 min presentation on a topic that you’re really passionate about and message each local brand in your city. Show them that you’re an expert and would love to help them. After this kind of intro, tell them more about yourself your work and your clients. Analyse their social media pages and come up with a few improvements that they can immediately make. By giving first, you’ll receive later. LinkedIn helps a lot – at any stage. So much so if you’re in an initial phase. I’ll tell you how a simple tool helps you connect with people on autopilot, with absolutely no effort from you. First, you’ll have to be active on LinkedIn. Start a social media campaign for yourself. Then start your Meetleonard or Dux Soup campaign, to automatically visit hundreds of Linkedin profiles by adding more awareness to your profile and build your network by automatically sending personalized connection requests. It’s really easy to use, and not very expensive. Suppose, you’re looking for CEOs in San Francisco. Click “Connect” from Meet Leonard extension. You can select how many people you want to send the personalized connection and when you want to push a follow-up message after they accept your invitation. Awesome? You can use LinkedIn to build conversations with super targeted leads by any search parameters you want. It’s the best platform to connect with actually potential clients for your social media agency. Reach out to them, tell them that you can find new clients for them, make it a free trial. If they like what you bring, you’re doing great! Make sure you don’t abuse with this tool. 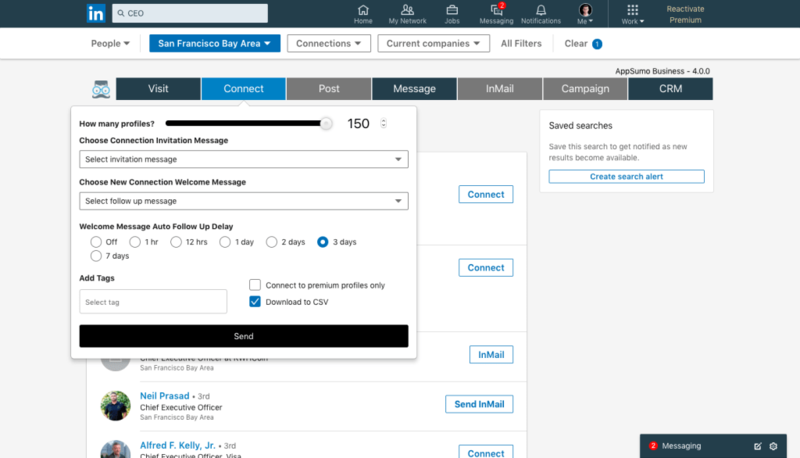 If you’re not active on LinkedIn, you can connect only 25-30 people a day and visit up to 20 profiles in one day. If you want to know more about using LinkedIn to drive more business, here’s an awesome podcast from Social Media Examiner featuring John Nemo. It’s an amazing channel to grow your fan base and get dozens of customers, especially for companies in the fashion, beauty, travel, food and pets industries. Unfortunately, many of these businesses fail to create a community around their product or service, due to lack of knowledge of how Instagram works. A lot of them just repost the same content on each social media channel. You can spot their mistakes easily, by quickly looking at their account. Hire a Virtual Assistant and ask them to find you 100 accounts with less than 1000 or 5000 followers in your area, which are businesses. Then, you can send them a Direct Message (DM) with all the issues you think they have and offer help. After they reply, tell them that you’re a social media agency and offer them a trial. If they’ll like it, discuss the terms. Cha-ching – one more social media client! This is my favorite, the “I’m really sorry, let’s meet tomorrow?” move. This one is hacky. Let’s say there is a conference you wanted to go, but it’s too expensive for you at this moment. Well, no worries. You can search posts by the hashtag, scrap the list of attendees from the Facebook Event or message the speakers you wanted to talk to. Drop them a message such as “Wanna meet soon for a coffee? I’d love to meet you at the social media conference”. Wait until they reply, and send them a message the next day saying “I’m really sorry I missed you at the conference. Are you available for a quick call? I wanted to discuss a few things with you”. It happens at multiple events. Meeting done! Whether you’re just starting the agency, or already have 100 clients there is always a lot of space to grow. Use any of these growth hacks to get your next customer.